Fallen angel is commonly known as an investment that has gone bad or was not able to generate the expected profit from it. It could also stand for stocks that were once the fruit of the loom but for some reason lost its luster and has hit rock bottom in the worst way. Fallen angel is also a term that has slowly been associated with a lot of things, mostly pointing towards a female that has suffered a number of setbacks that she does not deserve. It is also associated with a hit TV series where it portrays a person who is out for revenge from abuse and crimes committed. In Christianity, a fallen angel is an angel that has been exiled or banished from Heaven. Often such banishment is a punishment for disobeying or rebelling against God. One early source for information on angelology and demonology, is the Persian prophet Zoroaster, who is thought to have influenced Judeo-Christian beliefs. The best-known fallen angel is Lucifer. 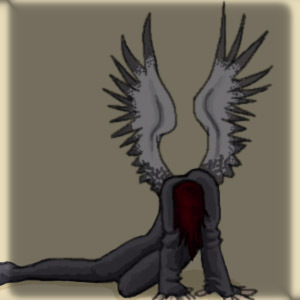 According to some traditions, fallen angels will roam the Earth until Judgment Day, when they will be banished to Hell. In whatever way a person would look at it, it is indeed something that has been a common terminology or definition that people have now added to their long list of vocabulary in the modern day and age. A fallen angel is something which has turned into poop, but it’s instigators want to show they had good intentions, however mis-guided and stupid.